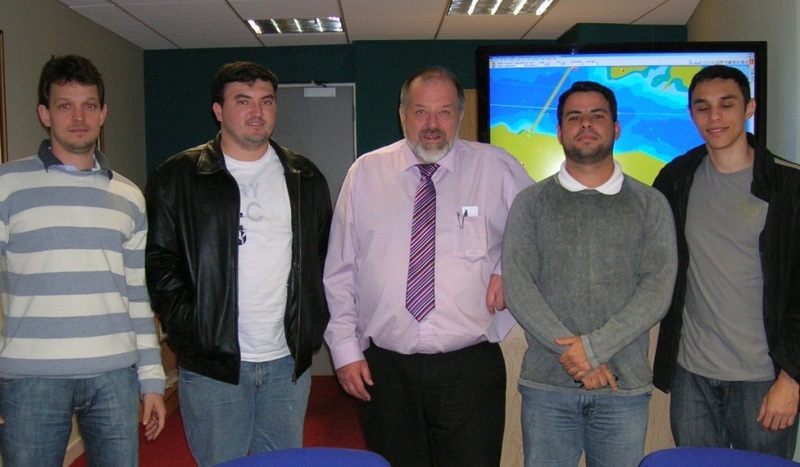 During the first week of October the National Maritime College of Ireland’s Simulation unit provided its first course for a group of Brazilian customers. 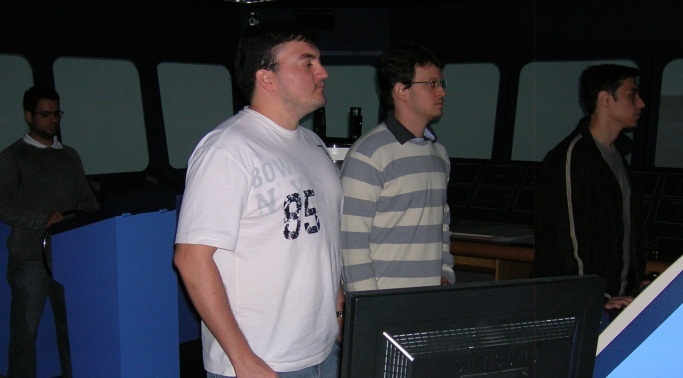 Following an initial enquiry (from Mr. Diogo Weberszpil do Amaral) for a ship handling course, the Simulation unit’s Captain Clive Hotham created a specialised course, to be run in the units’ 360° full mission bridge simulator, to provide the practical training that the group required. The group consisted of four people, Mr. Diogo Weberpilz, Mr Eliel de Andrade, Mr. Fabio Sousa de Oliveira, Mr. Diogo Nery Monteiro, and all of whom are candidates in the current round of recruitment of Trainee Pilots for Brazilian Ports. The week consisted of lectures on ship handling theory, practical ship handling of different vessels in different situations, practical communications between ships and port control, and debriefing sessions to discuss how each practical session went. 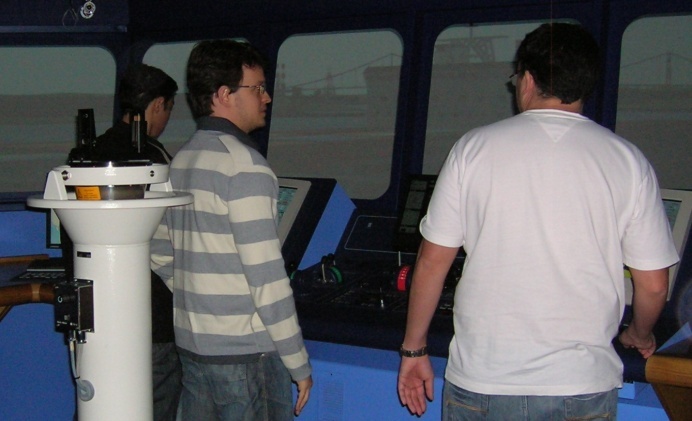 In the practical sessions each person was given a particular role – Pilot, Captain, Officer, and Helmsman – to reinforce the need for team work on a ships bridge. This meant that each person performed the manoeuvres and when they were not acting as pilot could observe each other’s performance. As the week progressed the abilities of the group improved greatly, each person gaining more confidence with each exercise. The week was a success and the feedback from the group was very positive. All the lecturers involved (Captains: Clive Hotham, Peter Walter, Cormac MacSweeney, and Roddy Cook) enjoyed working with the group during the week. The NMCI Simulation unit is looking forward to the next group of Brazilian customers in December and beyond. It is hoped that the Simulation unit can provide further training for more Brazilian customers; for courses ranging from this, to specialised courses for experienced pilots, and manoeuvring studies for pilots and ports. Call us for more information on our Bridge Simulator.